Episode Eight had virally nothing to do with Project Blue Book. Oh, they paid lip service to it and both Hynek and Quinn were there, but the case was not from the Blue Book files, the Soviets are still spying, and Hynek lost the keen little thing he had stolen from a classified area. But in the end, there was no real relation to anything in the Blue Book files. or where other soldiers involved might be. They just shot up the area using high power rifles (M-1s, which are .30 caliber). The rounds could be deadly up to a mile away, but the soldiers were firing into the woods indiscriminately. Since this was an exercise, there was no reason for them to have live ammunition. The real-life event that this was modeled after took place in Korea in 1951 and that is a whole different issue. Of course, the soldiers had live ammunition and probably a lot of it. 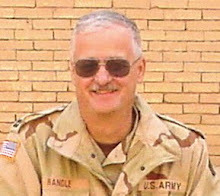 In Iraq we were issued a basic load, which meant that everyone of us had 210 rounds for the M-16, though given the circumstances, we might be carrying only 30 to 60 rounds, and yes, the weapons were often loaded and a round chambered. But that was a combat environment. Oh, in my entire military career, I don’t remember hearing superior who gave an order to a subordinate saying, “That’s an order.” We all know what an order is and we just don’t punctuate the command by saying, “That’s an order.” Hollywood loves to underscore these orders by telling us all that it’s an order. Spoilers: We learn, in the end, that this was not a display of alien craft, but some sort of experiment that not even the two generals in charge knew about. It was to test the soldiers’ reactions as they were exposed to some sort of psychotropic drugs or gas or something. They failed the experiment but we did glimpse some sort of oversight committee… or rather their meeting room, which, BTW, was pretty fancy. But when you’re dealing with the top of the military chain of command, you do get fancy. This event that I am about to relate to you is the truth, so help me God. It happened in the early Spring of 1951 in Korea. We were in the Army infantry, 25th Division, 27th Regiment, 2nd Battalion, 'Easy' Company. We were in what is known on the military maps as the Iron Triangle, near Chorwon. It is night. We are located on the slopes of a mountain, below [which] there is a Korean village. Previously we have sent our men into this village to warn the populace that we are going to bombard it with artillery. On this night, we were doing just that. We had aerial artillery bursts coming in. We suddenly noticed on our right-hand side what appeared to be a jack-o-lantern come wafting down across the mountain. And at first no one thought anything about it. So, we noticed that this thing continued on down to the village to where, indeed, the artillery air bursts were exploding. It had an orange glow in the beginning. We further noticed that this object was [so] quick that it could get into the center of an airburst of artillery and yet remain unharmed. [The] time element on this, I would say, [was] anywhere from, oh, forty-five minutes to an hour all told. But then this object approached us. And it turned a blue-green brilliant light. It's hard to distinguish the size of it; there's no way to compare it. The light was pulsating. This object approached us. I asked for and received permission from Lt. Evans, our company commander at that time, to fire upon this object, which I did with an M-1 rifle with armor-piercing bullets. And I did hit it. It must have been metallic because you could hear when the projectile slammed into it. Now why would that bullet damage this craft if the artillery rounds didn't? I don't know, unless they had dropped their protective field around them, or whatever. But the object went wild, and the light was going on and off. It went off completely once, briefly. And it was moving erratically from side to side as though it might crash to the ground. Then, a sound -- we had heard no sound previous to this -- the sound of, like, diesel locomotives revving up. That's the way this thing sounded. And then, we were attacked. We were swept by some form of a ray that was emitted in pulses, in waves that you could visually see only when it was aiming directly at you. That is to say, like a searchlight sweeps around and... you would see it coming at you. Now you would feel a burning, tingling sensation all over your body, as though something were penetrating you. So, the company commander, Lt. Evans, hauled us into our bunkers. We didn't know what was going to happen. We were scared. These are underground dugouts where you have peep holes to look out to fire at the enemy. So, I'm in my bunker with another man. We're peeping out at this thing. It hovered over us for a while, lit up the whole area with its light, and then I saw it shoot off at a 45-degree angle, that quick, just there and gone. That quick. And it was as though that was the end of it. But, three days later the entire company of men had to be evacuated by ambulance. They had to cut roads in there and haul them out. They were too weak to walk. They had dysentery. Then subsequently, when the doctors did see them, they had an extremely high white blood cell count which the doctors could not account for. Now in the military, especially the Army, each day you file a company report. We had a confab about that. Do we file it in the report or not? And the consensus was 'No.' Because they'd lock every one of us up and think we were crazy. At that time, no such thing as a UFO had ever been heard of, and we didn't know what it was. I still don't know what it was. But I do know that since that time I have periods of disorientation, memory loss, and I dropped from 180 pounds to 138 pounds after I got back to this country. And I've had great difficulty keeping my weight up. Indeed, I'm retired and disabled today." The one thing that I take away from this, is that we have another episode in which they deal with lights in the sky. Not a solid craft. And the real tales on which these episodes are based seem to have the same sort of observations. Lights in the sky, or as the real Allen Hynek labeled them, “nocturnal lights.” I’m sure they are building to something… and that might be the Washington Nationals in which the observations were lights in the sky, though these were tracked by radar. about me. I read him the quotes but he didn’t have much to say when I challenged the accuracy of them. I did press him on the evidence for the existence of MJ-12, but it came down to his discussions with someone who claims to have been a member of that committee. If there is no MJ-12, then, of course, anyone who claimed membership is not being as honest as he could be. The point was that there are no undisputed documents and a “inside source” who isn’t identified is no source at all, especially when talking about MJ-12. The one thing that should be remembered here is that I quoted his own words to him, especially about allegations that he had slung at me, and got no response. Mainly, I wanted to know the source of some of this information, but he refused to provide it, saying, basically, it was his opinion. Granted, it was his opinion, but it is wrong. Let me say this. Over all the years I have been involved in UFO research, I have heard people claiming that I was a debunker for the Air Force, I worked for Hector Quintanilla who was the last official chief of Project Blue Book (for those interested, for the last months of Blue Book’s operation I was in Vietnam and when the Air Force announced it was closing the project, I’d been back for 60 days), that I was a spy for the CIA, that I spied on APRO for the AFOSI, and I don’t know what all. Here was someone else who had said those types of things about me and when I asked about, I just got “No Comment.” Not a satisfactory answer. I’m not sure why there are those who believe they can say what they want without any repercussions. I wanted a chance to set that part of the record straight. I wanted it understood that the claims were not true… and while I had a long military career, I did nothing for the military that related to UFOs. I did not debunk, I was not an unwilling “shill” for the Air Force, and I follow the evidence. For the next show, I hope to interview Calvin Parker of Pascagoula fame. Many of my colleagues in the UFO community are unhappy with History’s Project Blue Book. While it is true that it is very loosely based on the Blue Book files and that it takes great liberties with the stories, it is also true that many of those who were involved with Blue Book in some capacity are not as offended. I have talked with Paul Hynek who gave me the family’s opinion of the show. I have also mentioned that those involved in creating it are quite knowledgeable about UFO history. 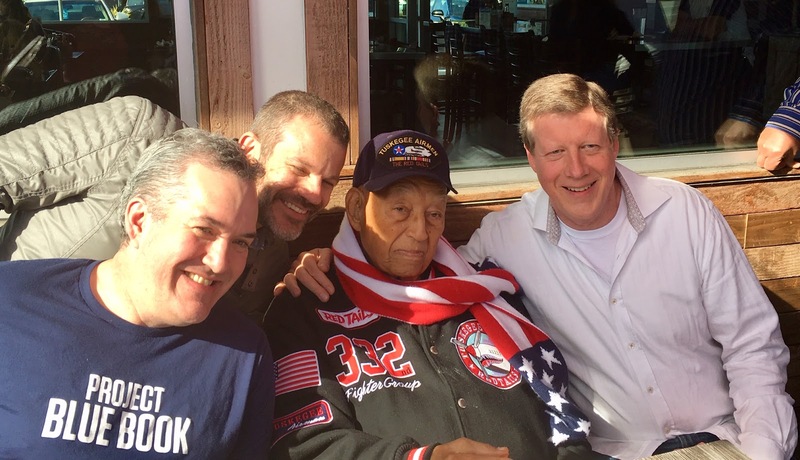 Lt. Col. Robert Friend in the center, on his 99th birthday. Photo copyright by Auturo Interian. Over the weekend, Lieutenant Colonel Robert Friend, who had once been chief of Blue Book celebrated his 99th birthday. While this might not have had much to do with the Project Blue Book TV show, it is important because those involved with the show celebrated the birthday with Friend. Armed Forces to serve as pilots. While a student at Lincoln University in Pennsylvania – the first historically black college to grant college degrees – he took aviation-related courses. When the Civilian Pilot Training Program began in 1939 for college students, Friend eagerly applied and was accepted. He completed the program and earned his private pilot’s license. But this was only the first step to becoming a military pilot. When the program opened an opportunity for a segregated pilot training program at Tuskegee, Friend finally had his chance to join the war effort and earn his wings. After successfully completing all phases of training, he was commissioned as an officer in the U.S. Army Air Corps, and assigned to the 301st Fighter Squadron of the 332nd Fighter Group. By that time, the country had officially entered the war. When he deployed overseas, Friend was first sent to North Africa, then to the Europe Theater as a Combat Operations Officer at the squadron and group levels. He was responsible for planning and organizing the implementation of strategic and tactical air missions. He was a skilled pilot in the P-47 and P-51 aircraft. He flew wing man for Benjamin O. Davis Jr., who would later go on to become the first black general of the United States Air Force. He flew 142 combat missions in World War II. His service extended in several other capacities during the Korean and Vietnam wars. He finished his education at the Air Force Institution of Technology. His career with the Air Force included serving as Assistant Deputy of Launch Vehicles, working on important space launch vehicles such as the Titan, Atlas and Delta rockets and the Space Shuttle. He served as a Foreign Technology Program Director where he identified and monitored research and development programs related to national security. He was also the Director of the Unidentified Aerial Phenomena Program, tasked with investigating unidentified flying objects. After retiring from the military, his expertise was utilized to oversee the design and production of space products for the Space Shuttle program, lead a company that creates components for the International Space Station and other satellite systems, and direct the research and development for USAF weapons and missile programs. All this will probably do nothing to change any opinions about Project Blue Book, but, at least, they’re talking to the right people. Last night we were treated to the Florida Scoutmaster case which was moved to Ohio for some unknown reason. The drama, as it played out did follow, to some extent, the true events on which the episode was based. We did have scouts and a scoutmaster except in this case he was armed because he liked to hunt. When they saw lights out among the trees, the scoutmaster advanced, fired a shot or two, and disappeared. The implication was that the scoutmaster had engaged in some sort of fight with the alien creatures, and he had disappeared because of it. 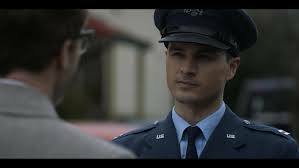 Captain Quinn talking with Allen Hynek in Project Blue Book. agent. The powers to be were using him as bait to see if Quinn had stolen a bit of metallic debris, or some sort of unidentified object from an Air Force base that, apparently had some kind of connection to flying saucers. What disturbed me here was that Quinn resorted to various forms of torture in his attempt to determine what had happened. I find it interesting that Hollywood seems to endorse the use of torture to recover information in their dramas but then, in reality, condemn its use. In the fictional world, they are telling us that torture is an effective investigative tool and in the real world it is a horrible breach of human dignity. Yes, I can cite examples from other shows. In Law & Order SVU, Detective Stabler has been seen, more than once, using an enhanced interrogation method to extract information from a suspect. Oh, it’s always for a good cause, lives are at stake, but he is torturing the suspect. There is no other way to look at it. I have to wonder what message that sends to the audience. Are we teaching the viewers that torture, in some cases is acceptable? And I point out that Quinn, as a military pilot with substantial aviation experience as shown by the wings he is wearing, is not the proper man to be conducting this interrogation. In fact, I resent the implication that military officers universally endorse the use of torture. The scoutmaster reappears, and while in his hospital bed, tells of shooting an alien creature. Its body dropped at his feet. He can’t believe that those who had been searching for him had been unable to find it. He leaps from his hospital bed (yeah, I exaggerate) to lead Dr. Hynek, a boy scout and the sheriff to the scene of the aliencide (yes, I just made up that word). The man finds a skull with an elongated cranium that certainly looks alien, though I thought immediately of something that the Inca and Maya did. They wrapped their children’s heads to create that sort of thing. Hynek thinks that this is actual proof of alien visitation but does visit with a local anthropologist who sends him to a local Native America. This guy tells Hynek that the Choctaw sometimes did the same thing. I hadn’t heard that and thought it might be an error but thanks to the Internet, learned that the practice did extend into North America and one of the tribes mentioned was the Choctaw. I figured the show runners must have done the same thing, meaning ensured that the Choctaw did this form of child mutilation. We learn that the whole thing is a hoax with the scoutmaster at the center of the tale (and I think of some of the news in the real world where an actor claimed to have been attacked, but the investigation on that seems to have headed south in a similar way… but I digress again). At the end of the show, we are treated, again, to the quick notes on the real case. At the end of that explanation, which they note that Ed Ruppelt had labeled a hoax, they suggest the soil and grass samples taken at the time were unexplained. That was confusing… if you weren’t familiar with the case. For those interested in more information about it and a little more background on the real story, that follows. Captain Edward Ruppelt wrote in his book, The Report on Unidentified Flying Objects, about his UFO investigations into this case for the Air Force, "We wrote off the incident as a hoax. The best hoax in UFO history." It all started about 9:30 p.m. on August 19, 1952. Scoutmaster D.S. "Sonny" Desvergers of West Palm Beach, Florida, was taking three boy scouts home after the regular meeting. They were traveling south, on Military Trail, when, according to Desvergers, he "caught a flash of light out of the corner of my eye. I looked around and saw a series of fuzzy lights like the cabin windows of an airliner." it was an airliner that was crashing, or in some other kind of trouble, he wanted to help. He turned around and headed back. He stopped at the side of the road and told the boys to wait about ten minutes. If he wasn't back by the time a radio program ended, he wanted them to go for help. Desvergers believed the lights were about two miles into the palmettos off to the side of the road. He kept his path straight by reference to the stars and was shining his light across the ground, searching for an easy path through the thicket. He glanced at his watch, found that he had been walking for only four minutes, and then noticed an open area in front of him. He stopped, thinking he might have reached a lake or a marsh, but realized that it was just a clearing. Later, he told Air Force investigators, "I carefully stepped forward with the light pointing toward the ground. I had a second two-cell flashlight in my back pocket." As he entered the clearing, he noticed a peculiar odor. He also had the feeling that someone or something was watching him. And, he began to feel heat, as if he was approaching a hot oven or fireplace. He glanced up but could no longer see the stars. The sky above him was black. Something was hovering just overhead, blocking a portion of the sky. Now, according to the statement he provided to Air Force officers, "I stood frozen in my tracks. I wanted to throw something or hit it with my machete… The bottom of the object was dull black with no seams, joints or rivet lines. It was dirty streaks running straight across as if oil or dust had blown back. I tried to run but froze, I was so scared. The object was 6 inches to 8 inches above the pine trees." Still feeling the heat, Desvergers backed out from under the edge of the ship which he could see silhouetted against the black night sky. He said that the ship was "round, with a dome shape top and with holes and fins running around the edge. The bottom edge seemed to glow with a spot of phosphorescent glow..."
Desvergers heard a metal against metal noise that reminded him of a hatch opening. He told the Air Force investigators that he said a million prayers and kept emphasizing how scared he was by the craft and his feelings of being watched by something. He finally saw "a red flare which appeared slowly to move toward me. It came out of the side, I couldn't yell I was so scared." As the red glow came toward him, Desvergers put his hands up, over his face with his fists closed. He could see that the red glow that he now described as mist had engulfed him. That was the last thing that he remembered for a moment. When he woke up, he was standing next to a tree. He couldn't see at first and his eyes burned. As his sight returned, he could see lights in the distance and began to run toward them. According to his statement, "I thought I might be dead. Next I met the deputies and we went back to get my light." The deputies had apparently been summoned by the boys after their scoutmaster had been engulfed by the red mist. There were three boy scouts who had been involved in the sighting. The boys, Charles Stevens, David Rowan and the unofficial leader, Robert Ruffing were interviewed by Air Force officers including Ruppelt on September 9, 1952 at the regular meeting of the boy scout troop in West Palm Beach. I had hesitated in naming them because they were boys, but then realized, in the world today, they would be older than I am. In the official report it said, "In general, the boy scouts were rather difficult to talk to. They were rather excited and nervous about the whole thing and in many cases their answers did not make a lot of sense. It is not believed that this was because they weren't telling the truth, but they were just youngsters and were a little bit nervous." According to the boys, after the regular meeting, Desvergers took four boy scouts out to his car to give them a ride home. They first drove to the Wagon Wheel, a drive-in restaurant. They had a cold drink and then headed out toward a drive-in theatre, but something happened and they decided not to go. Air Force investigators noted that none of the boys would explain what had happened and that they didn't answer questions about that. Instead, they drove toward a stock car speedway to see how much water was on the track from recent rains. Although the track was closed and dark, they stayed there for several minutes before driving down Military Trail. One of the boys was taken home so that only three remained in the car. Now driving south on Military Trail, Desvergers saw something out of the corner of his eye, but the boys didn't see it. Desvergers told them, at that time, he thought it might be an aircraft in trouble or a flying saucer. He then got out of the car, giving the boys his instructions, and then walked into the palmettos. Ruffing, interviewed separately for the others, told the Air Force officers that he saw Desvergers walk into the woods and that the next thing he saw was a series of red lights in the clearing. Ruffing said that as soon as he saw the red lights, he saw Desvergers stiffen and fall. Air Force officer reenacting Desvergers' sighting. The other two boys, Stevens and Rowan, were interviewed together. They reinforced the story about the ride out to the spot where Desvergers claimed to have seen the lights going down into the trees. They watched their scoutmaster moving through the woods, his progress obvious by motion of his flashlight. The light disappeared and a few seconds later they saw the red lights. They described it as a "lot like flares or sky rockets." Frightened, they got out of the car and ran down the road for help. They found a lighted farm house and told the people that their scoutmaster was in trouble. The people called the sheriff's department. The Air Force investigators noted, "All in all, the boys' stories were rather conflicting and it was very difficult to obtain the facts. The only fact that seemed to stand out in all of their minds was the fact that they did see red lights out in the palmetto grove after Desvergers had gone in." Sheriff Deputy Mott Partin was one of those who responded to the call. As he reached the scene, Desvergers staggered from the woods. Partin told Air Force investigators and reporters who spoke to him later that he didn't believe that Desvergers was faking. He said, "In nineteen years of law enforcement, I've never seen anyone as upset as he was." With the law enforcement officers, Desvergers returned to the palmetto to search for his dropped equipment. They found a place in the grass that looked as if someone had fallen there. They located his machete and one of his flashlights. It was still burning. They marked the spots. One of the deputies took the boy scouts home. But the scoutmaster followed the deputies back into town. He complained about burns and when they arrived at the sheriff's office, they noticed that he had been burned on the arms and face. His cap had also been scorched. At that point one of the deputies called the Air Force. It seemed that almost everyone was impressed with Desvergers’ story. There were corroborating witnesses, there was some physical evidence in the form of burns, and an examination of his cap revealed additional burns that had been overlooked further validating his tale. Testing of the items carried by Desvergers revealed nothing unusual. The machete had not been magnetized, subjected to heat, or radiation. The same could be said about the flashlight. No radiation was found in the palmetto groves either. Nothing out of the ordinary. 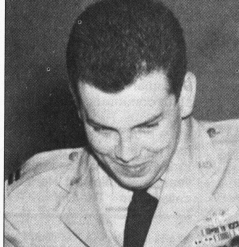 The day after Ruppelt, along with Second Lieutenant Robert M. Olsson, a couple of Air Force pilots, the local intelligent officer and his sergeant interviewed Desvergers, his story appeared in the newspaper. Although Desvergers had asked Ruppelt if he could talk about the sighting and was told that the Air Force had no policy of restricting civilians, Desvergers told reporters he had been silenced. The newspaper reported that Desvergers had conferred with "high" brass from Washington, D.C. who had confirmed his sighting by telling him exactly what he had seen, but who didn't want him talking about it. That irritated the Air Force officers. There had been no high brass, just several captains and a second lieutenant. They had not suggested to Desvergers that they knew what he had seen, though he had asked them repeatedly for an explanation. And they hadn't muzzled him. Before Ruppelt left Florida, one of the deputies suggested they look into the background of Desvergers. The deputy had said that Desvergers was a former Marine, an aspect played up in the newspapers. He also told some stories of secret missions into the Pacific during the Second World War. He told of a horrible accident when a car had fallen on him and he'd spent months in the hospital recuperating from his injuries. All these were facts that could be checked and while they had nothing to do directly with the UFO story, they did speak to the character of the witness. Once during a birthday party, Desvergers stated that during the war he was a Marine and had been on sea duty on a battleship. He stated that one day he was contacted by an Officer of Naval Intelligence who asked him to go on a secret mission. He was taken to Washington and given a briefing by a group of Colonels then taken to California to go to school with some more Colonels from Washington. He was flown to the Pacific to map Jap held islands that were unchartered (sic). He stated that he was taken to the island under cover o darkness in a PBY aircraft along with his surveying cryptography equipment and that as they approached the island a life raft was inflated and thrown out the waist window of the PBY. The PBY landed in the dark in unchartered waters next to the raft and put Desvergers and his equipment into the raft. With the cover of darkness, he paddled up to the beach and buried all his equipment. Desvergers stated that at the beginning of the story the island was 7 x 3 mi. long and at the end, it was 25 x 50. After about two weeks of hiding from the Japs all day and digging up his equipment and surveying at night, he had mapped the island. In many cases he had brushes with Japanese Officers and once during his two weeks he was lying in some bushes hiding during the day when the Japs walked by so close to him they could touch him. When the job was finished he had set up a rendezvous with the PBY and it landed at night. However, the Japs saw the airplane land and knew that he was on the island. He inflated his rubber raft and started paddling toward the aircraft but the Japanese started to fire at him and sunk his life raft, however, in the raft he had a Gibson Girl radio with a balloon for an antenna. He quickly inflated the balloon, crawled on it and flowed out to the PBY. As he was being picked up by the aircraft, people were reaching out of the hatch helping him. During the time, the Japs were shooting at them and several of the sailors who were helping him were badly wounded." The problems with this "war story" are many. First, it smacks of being just that, a war story. Secret missions are not developed in that fashion and they don't select the soldiers, or in this case a Marine, in such a haphazard fashion. These missions are given to highly trained personnel who have expertise that is critical to the operation. But more importantly is the service record of Desvergers. Here is a man who was in the Marines during the Second World War. It was a time when the expansion of the various services including the Marines demanded huge numbers of recruits. The fighting in Europe, Africa, and the Pacific were grinding up men in terrible numbers. Yet, according to the record, Desvergers had been tossed out of the Marines with a less than honorable discharge in 1944. Ruppelt noted, "He had been booted out of the Marines after a few months for being AWOL and stealing an automobile." He apparently went from lone hero to disgraced Marine in a very short time. To me, this spoke volumes about the reliability of the man. That is not to mention the other factors on his record. He had told various people at various times that he had been a PFC test pilot in the Marines and had flown every type of naval and Marine fighting aircraft. Of course, prior to the war, the Marines did have "flying sergeants," that is, enlisted men who were pilots. They had no PFC test pilots, however. He told high school friends about his automobile accident. He said that he had finished work late, after everyone else had gone home for the day when, somehow, a car had fallen on him. For hours he was pinned under the car, screaming for help. But, when Air Force investigators checked, they learned that others had been there to help at the time of the accident. He had been taken to the hospital and released quickly. He had taken the real event and embellished the account into a truly horrifying tale. Had a single person suggested that Desvergers spun tall tales, it might be suggested that some sort of a vendetta existed. But many people related that Desvergers had told them similar things. One man even said that if Desvergers had told him the sun was shining, he would go out to look. Other details of his personal life were equally revealing. Many of the people who knew him had heard the stories and dismissed them as fantasy. Ruppelt, among others, "pointed out that this fact alone meant nothing..." The UFO sighting could have been the one time that Desvergers was telling the truth. Then the Air Force investigators made another discovery. The clearing where Desvergers had been attacked by the UFO was invisible from the road. Olsson and the local intelligence officer tried to see the clearing under about the same lighting conditions as the night of the event. Only by standing on the car could they see down into the thicket where the boy scouts had thought their leader had been attacked. Suddenly, the tale of a brave ex-Marine and boy scout leader, who had the corroboration of three boy scouts, didn't look so good. It wasn't that anyone believed the boy scouts were lying. They thought the kids had gotten caught up in the excitement and had imagined some of the things they thought they saw, especially under the careful guidance of their scout master. In the final analysis, they hadn't seen all that much anyway. So, the tale hung on Desvergers and his reputation. His reputation had fallen apart. He wasn't the upstanding and honest ex-Marine hero of a secret Pacific campaign that he had seemed to be. His background was less than sterling and involved, among other things, petty theft. The case began to look like a hoax after all. The day after Ruppelt and the others had interviewed Desvergers, he hired Publicity Agent Art Weil. Rather than providing his story to newspapers and magazines, Weil was going to sell the tale to the highest bidder. 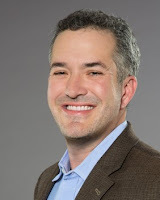 Desvergers had already been approached by a number of people including a couple of college professors, newspaper reporters, and at least one writer from a large circulation news magazine. Or rather that was what Desvergers had said. Not long after that, Weil quit. He had learned about the problems with Desvergers' background and realized that no reputable magazine would pay for such a story. The only thing going for the story was the reputation of the man telling it. If his reputation wouldn't stand up to the background checks, which it wouldn't, then no one from a reputable magazine would take a chance on the tale. It seems that this was just a hoax. Desvergers, to add weight to it, had singed the hair from his arms with his own cigarette lighter, or so the investigators believed. The slight reddening observed by some was gone within a day or two. The tale of lights, or a mystery craft, in the palmetto was not corroborated by anyone. very clever, hoax. Except for one thing. According to Ruppelt in his book, they had forgotten about the soil and grass samples gathered in the clearing. They had taken the machete, the flashlight, and the cap for testing, but in the rush to get out of Florida, they'd left the soil samples behind. Ruppelt asked the local intelligence officer to forward them to Blue Book, which he did. When the lab, which we now know to be the Battelle Memorial Institute, reported back to Ruppelt, they asked, "How did the roots [of the grass] get charred?" What they had discovered is that the roots of the grass had been heated to about 300 degrees. They had no way to explain it and the only way they could duplicate it was to put the grass in a pan and heat it. Of course, that was not what had been done in the field. The samples had been taken from the undisturbed ground. Ruppelt and the others checked the area carefully and found nothing that would account for the charring. He did learn that induction heating could duplicate the effect in the field but there was no evidence such was the case. Ruppelt quoted from an engineering text that suggested a method for induction hearing. A metal rod, when subjected to an alternating magnetic field, would create 'eddy currents' that caused a rise in temperature. Ruppelt suggested that by replacing the metal bar with the wet sand such as that in the clearing for the electrical conductor and an assumption of a strong, alternating magnetic field created by the proper equipment, the charred roots could be explained. Of course, it required heavy equipment to do it and there was no evidence of that equipment in the palmetto grove that night or at any other time. Suddenly there was a bit of physical evidence that couldn't be explained easily. Ruppelt and the others were still convinced that the story was a hoax, even if they couldn't explain how the roots of the grass had been charred. And Olsson, in a "memo for the record" found in the Project Blue Book files, had talked to the people at the "Flare and Signal Branch." They suggested that the burns in the hat were consistent with those from a flare, but that didn't mean the burns had occurred in that way or that Desvergers had used a flare. But more importantly, Olsson learned that had a flare been used to hoax part of the sighting, the grass should have burned. He was told, "It seems likely that if a flare was used in the incident at West Palm, a fire would have started in the dry grass. No evidence of a fire was present down there as far as we could see." These facts were what had made the case the best hoax in UFO history. That, and the fact that no one had proven that Desvergers was lying in this instance. As the deputy said, "It could have been the one time in his life that he told the truth." What is interesting about the Project Blue Book file is there is nothing about these grass samples in it. There are "memos for the record" that cover the testing done on the machete, the flashlight and the cap. There are reports that suggest there was nothing unusual about the machete or the flashlight and detailing the holes burned in the cap. The scorching on the hat, along with some tiny holes burned in it were puzzling but not solid evidence that the tale told by Desvergers was the truth. All these documents are in the file. There are even longer, detailed statements about Desvergers' background that suggest his character wasn't sterling. There are many tales that he had spun that had no basis in fact. These are particularly persuasive. It provides the profile of a man who enjoys the spotlight, who has spun more than one tale to put himself in that spotlight, and who seems to have invented the story of a flying saucer attack to grab the spotlight once again. In today's environment, he would claim to have been abducted and would appear on a dozen or so of the television talk shows to explain what had happened to him. But there is nothing in the file about the grass and soil samples. Without Ruppelt's candid description of the case in his book, we would know nothing about this aspect of it. To me, the evidence in the file is persuasive. I have no doubt that Desvergers invented the tale of the flying saucer attack. There are just too many instances where Desvergers made up stories to impress his friends and coworkers. With what I found by reading the file, I would be willing, in fact, I would be enthusiast, in labeling this case a hoax if not for one thing. Where are those reports about the charred grass roots? of the more esoteric aspects of UFOs. 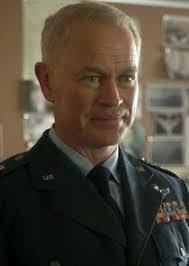 When I asked who was Neal McDonough was, meaning who is the general he plays, Auturo said he was a combination of Nathan Twining and Charles Cabell. While most people know who Twining was, far fewer understood the role of Cabell in all this. There are other examples of this. He mentioned that the group we sometimes see around a big, round table, is not MJ-12, but could be considered one of many different organizations that existed over the years that sort of oversaw the investigations into UFOs including the Science Advisory Board. And that Quinn, the captain running around with Allen Hynek, is not Ruppelt, the one-time chief of Blue Book, but a combination of people because once you move beyond Ruppelt you run into leaders of the investigation who are either disinterested in UFOs or rabidly set against the idea they exist in any form. There is one more thing. 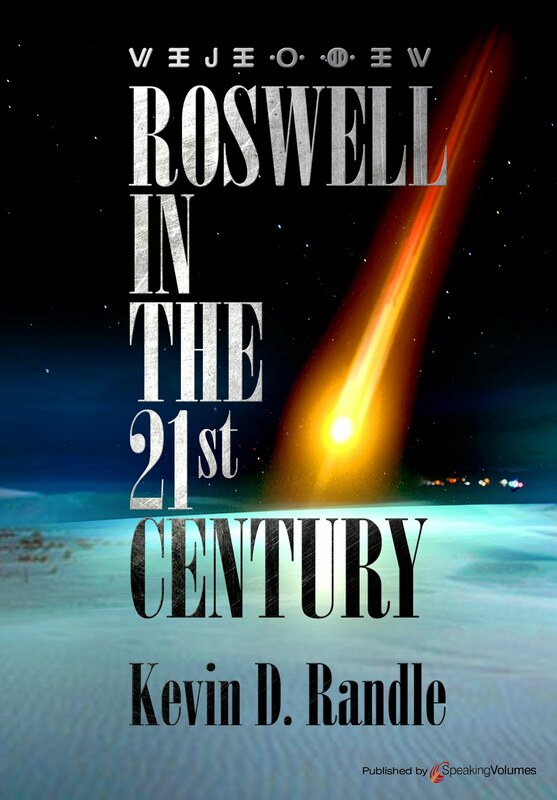 When I was on the set of Roswell, the ShowTime movie about, well, Roswell, I was the military consultant. I mentioned something to the director, Jeremy Kagan. He said to me, “Remember, we’re making a movie, not a documentary.” This is advice that some of the critics of the Project Blue Book show should remember as well. Coming up next… I’m not sure yet. There are several possibilities and I’m looking for the best guest. Although the episode had the underpinnings of the Green Fireballs, the lights displayed on the screen bore little resemblance to the real thing. The TV lights acted more like the Foo Fighters and other displays of nocturnal lights. This was probably intension on the part of the series creators. There is a thread developing in the show that began with the Fuller (Gorman) dogfight, in which he was chased or chased an object that was more fuzzy light than structured craft. The Lubbock Lights episode kept that alive while the Flatwoods Monster concentrated more on the creature than the object, which was not clearly defined. We know, based on the previews, that we’re going to be treated to the Florida Scoutmaster case. He saw an object, approached it and was “attacked” by something from inside the craft. Three boy scouts were also there and provided information for the Project Blue Book investigators. I suspect that we’ll have another display of lights in the night sky like we have seen in previous episodes. We also know that coming up are the Washington National sightings, which again, will deal with lights in the sky. During those sightings, however, there were radar observations and intercept attempts by scrambled jet fights. But these sightings took place at night and involved lights rather than structured craft. But, since they brought up the Green Fireballs, I thought this would be a good time to explore this thoroughly. Following is part of the information that appeared in The Government UFO Files. 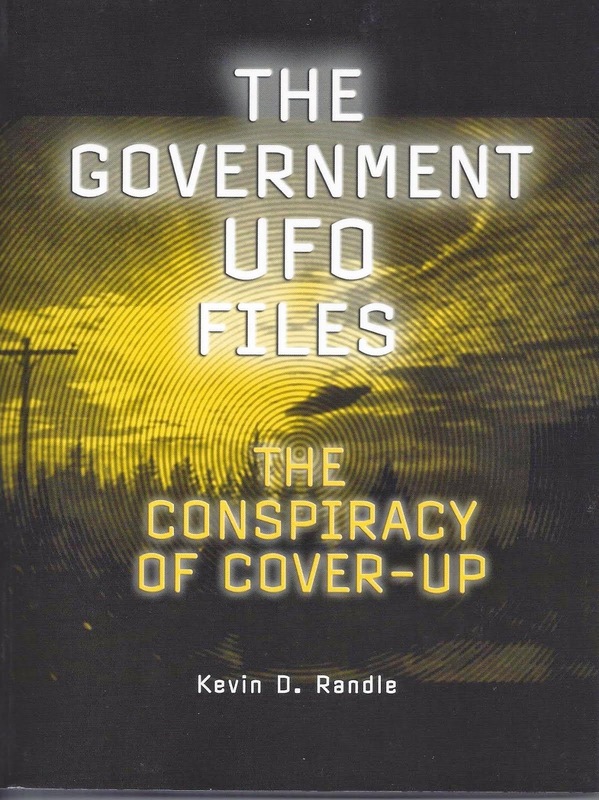 That book also provides a deeper look at some of the other cases that have been explored on Project Blue Book. It might be said that the story of the green fireballs began in Albuquerque in November, 1948, when a number of people reported flashes or streaks of green low on the eastern horizon. Or it might be said that it began on December 20, 1948, with a sighting when four observers, two each at separate locations reported a bright light falling slowly toward the ground. But it seems the first sighting of a green fireball took place in Phoenix on October 24, 1948 when Ellen Peterson watched a bright green object cross the sky. 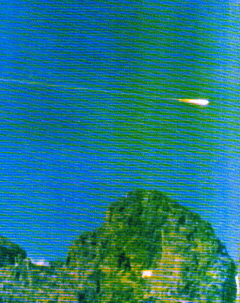 From the Project Blue Book files, and the subsequent reports on Project Twinkle, the study to learn the identity of the green fireballs, Peterson’s report is often the first one mentioned. She sent a letter to Dr. J. Hugh Pruett who was a professor of astronomy at the University of Oregon who eventually forwarded the information to Dr. Lincoln La Paz at the University of New Mexico in Albuquerque. In the world of Air Force investigation that meant it was a balloon. The official explanation is “balloon,” but the evidence for that seems thin. Had the original letter not ended up with La Paz, there probably would be no sign of the case at all. These sightings, all found in the Project Blue Book files that deal with the green fireballs, would have gone virtually unnoticed had it not been for a multiple witness sighting of something more than just a streak of light in the distance. On December 5, 1948 a brilliant green object flashed by a military C-47 transport enroute from Lowry AFB in Denver to Williams AFB in Chandler, Arizona. The pilot of the military aircraft, Captain William Goade, reported he, along with his crew including Major Roger Carter, had seen a green flash just west of Las Vegas, New Mexico. They believed, at that time, they had seen a meteor. But, twenty-two minutes later, at 9:37 p.m. they decided it was something else. Goade said he had seen an intense green light rise from the east slope of Sandia Peak. It climbed to about 500 feet and looked like the “flare” he had seen before. That would seem to rule out a meteor as the answer. sky like the Foo Fighters of the Second World War. At 11:00 p.m., the pilot of a Pioneer Airlines flight that was making its way from Tucumcari, New Mexico to Las Vegas, New Mexico to Albuquerque and then onto Santa Fe and Alamogordo said that he had seen a green “light” just west of Las Vegas. When they landed at Albuquerque, they were interviewed by the Control Tower crew. The pilot, Captain van Lloyd, said that he had seen a pale green light that seemed to be coming straight at him. According to him, he jerked the aircraft to avoid a collision. The light and its tail then curved down and away and disappeared a few seconds later. Wright, like Colonel Hayes, was a repeater, meaning he saw the lights, the green fireballs, on more than one occasion. That might have been enough for the Air Force to discount his sightings, except that there were other witnesses to each of those events, and many of those who reported the fireballs had more than one sighting of them. None of the sightings were too spectacular except for one fact. The lights, objects, fireballs, were all traveling through an area where there were a number of secret research facilities and near bases that had highly classified missions. Lt. Col. Doyle Rees, commander of the 17th District of the Air Force Office of Special Investigation, decided that these reports required additional investigation. Rees assigned two officers, Captain Melvin E. Neef and Captain John Stahl to interview those at every agency or operation who might know something about the lights. The wanted to be sure that the lights were not the result of a classified project. When that failed to produce results, Neef and Stahl decided they needed to check the terrain. Both were rated, meaning both were pilots and they took a T-7 out of Kirtland early one evening. At an estimated altitude of 2,000 feet higher than the airplane… a brilliant green light was observed coming toward the airplane at a rapid rate of speed from approximately 30 degrees to the left of course, from 60 degrees ENE, to 240 degrees WSW. The object was similar in appearance to a burning green flare of commonly used in the Air Forces. However, the light was much more intense and the object appeared to be considerably larger than a normal flare. No estimate can be made of the distance or the size of the object since no other object was visible upon which to base a comparison. The object was definitely larger and more brilliant than a shooting star, meteor or flare. The trajectory of the object when first sighted was almost flat and parallel to the earth. The phenomenon lasted approximated two seconds at the end of which the object seemed to burn out. The trajectory then dropped off rapidly and a trail of glowing fragments reddish orange in color was observed falling toward the ground. The fragments were visible less than a second before disappearing. The phenomenon was of such intensity as to be visible from the very moment it ignited and was observed a split second later. The description sounds like a meteor, and if it was coming toward the aircraft, would have seemed larger than it was. Military pilots with combat experience should have been aware of this. Tracers, fired by enemy gunners often looked larger and closer than they were. To make matters worse, if possible, on December 6, a security officer with the Atomic Energy Security Service, Joseph Toulouse, saw a “greenish flare” on the Sandia Base at Kirtland. He said the light was about one-third the size of the moon, was visible for three seconds before it arced downward and vanished. Given the nature of the base and the highly classified work being done there, Rees thought there was a possibility that some sort of sabotage or espionage was going on. Now there was some confirmation the events with two of the intelligence officers spotting a green fireball themselves and the report from the security officer at Sandia. But there was also the possibility, however remote it might have seemed that the green fireballs were meteors. On December 9, Neef contacted Dr. Lincoln La Paz, at the time one of the foremost experts on meteors. As a bonus, La Paz already held a top secret clearance and had been consulted by the Air Force on other matters relating to unidentified flying objects. It all started back in December, 1948, when we first received some reports from some airline pilots that these green fireballs were sighted. At this stage we had no idea what to do with it or what it was. We approached Dr. La Paz who has been assisting us, gratis, since that date. Almost over two months now that he has been assisting us, so in order to have you get the facts as they are to a scientist. La Paz, then, began to study the green fireballs. On December 12, 1948, La Paz, along with several companions, was driving near Bernal, New Mexico, when they spotted one of the green fireballs heading from east to west, low on the horizon. The others, identified in the Blue Book files were Major C. L. Phillips, an Air Force – CAP liaison officer; Lieutenant Allan Clark with the New Mexico Wing of the CAP, and Inspectors Jeffers and McGuigan, AEC Security Service at Los Alamos. La Paz was asked questions and told the others that on December 12, he had been on an investigation into the sightings of the week before and was therefore somewhat prepared. He had a stop watch and a transit. He used his equipment to make various measurements so that he was not relying solely on his perceptions. At 2054 [hours], 20 Dec 48, we saw the object described below making a path thru the sky. It was travelling in an almost flat trajectory and its decline formed an angle with the horizon of approximately 20 [degrees]. The angle of elevation from our point of observation was approximately thirty [degrees]. The object was moving at a very fast rate of speed and disappeared behind the mountain directly northeast of Ft. Eagle. Total time of visibility was about one and one-half seconds. An intense blue-white light about the size of a basketball. As the object traversed the sky, there was a faint trail of light behind it and two objects about the size of a baseball separated from the main body. These objects were the same color and intensity of the main body, and trailed directly in its path at even intervals of distance equal to approximately three times the diameter of the main body. The size of the main body was approximately one quarter the size of the moon. Although this is part of the green fireball files, it seems to be of a bright meteor that broke up as it fell. It is important because it is contained in the Blue Book files and suggests the importance of this small part of the overall UFO investigation was in late 1948 and early 1949. It is of interest to note that at least two of the objects have been sighted over the Los Alamos AEC project. One person who observed one of the objects at Los Alamos has stated that it looked exactly the same as V2 Rockets he had seen over England during the war. All that was interesting, and the letters being passed around at the time suggested that the various intelligence agencies, those in charge of the secret research projects, and the military were stumped by the sightings. They were during everything they could think of to identify the green fireballs, but all that was about to change. Also, in Alamogordo, Wilfred T. Martin, who worked as a technician for the Boeing Aircraft Company, said that about six in the evening, he saw a single green fireball to the east and travelling to the south. He saw no signs of an exhaust; he watched for about ten seconds and said that it did not explode. There were other, similar reports coming from other parts of New Mexico and west Texas. The track of the object, or the green fireball, could be plotted based on the observations of all these witnesses, and the investigators took many of them to the places where they had seen the fireball to get accurate measurements suggesting height and direction. Using the information gathered from more than 100 witnesses, Dr. Lincoln La Paz set out in an attempt to find where the object came to earth, if it was an ordinary meteor. These lines are drawn [on a map of observers’ sightings, giving direction of the object from the observer and the direction of travel] from the points of observation. The center… of the points of appearance is somewhere Southwest of Amarillo. The disappearance point is in the vicinity of Lubbock, Texas. Or, in other words, using the techniques that had worked in the past, interviewing the witnesses, getting their directions of flight, La Paz, with his crews, were able to follow the meteorite fall to its impact location. This wasn’t the only time that La Paz had had success in tracking down the remnants of a meteoric impact. His methods had been tested over time. Toward the end of the Advisory Board conference, La Paz was asked about the locations of the sightings. They were only being reported over the southwest, and most of the sightings were made in New Mexico. Some believed that this was an usual circumstance. Why would people in New Mexico or the desert southwest see these usual green meteors if they weren’t being seen by others around the country? La Paz goes on to say that they have had clear skies over the southwest in the previous weeks. He was not suggesting that this was a reason that the green fireballs seemed to be seen only in that area. It was just an observation about the weather conditions. La Paz said that he had been through the records carefully and that he had found just a single case of a fireball in which the observers mentioned a green color, but not the green that was mentioned by so many other observers in New Mexico. He asked didn’t ask for help or guidance, and said that the investigation would continue. There was no real response from AMC about the reports of the fireballs, or the effort by AFOSI to investigate them. On April 23, Captain Roger Groseclose and Lieutenant Howard Smith were sent from AMC in Ohio to Kirtland. On April 24, there was a meeting held with Neef, La Paz, Jack Boling and Godsoe in an AFOSI office. Godsoe suggested that the AFOSI was wasting its time investigating the fireballs because AMC was ungrateful for the effort. The AMC officers shot back that it wasn’t the business of Army officers to worry about fireballs. That argument escalated with Godsoe storming out of the room, which left La Paz exposed. The AMC officers had a list of complaints including that La Paz had sent them raw data rather than his finished analyses. This seemed to annoy La Paz who said that he had been working on this as a volunteer and he had to return to his regular job. Any further request for his assistance had better come with a contract. But not all of the meeting was quite that acrimonious. Everyone agreed with Godsoe’s recommendations that there should be a network of observation posts with cameras, surveyor’s transits and trained observers. There should be another search, both on the ground and in the air, for fragments from the green fireballs. All this was necessary because it seemed that the fireballs were seen only in a limited area of the southwest, and they were seen over some of the most sensitive installations in the country. Even with the sightings continuing, and La Paz providing reasons that the green fireballs were not natural, in Washington, that was the conclusion. These were not meteors, but some sort of “auroral effect,” although he acknowledged that the distances so far from the magnetic poles and their rapid, horizontal motion was difficult to explain. Air Force intelligence “tentatively accepted” the explanation and Air Force Headquarters began a review of the reports. On June 2, again at Los Alamos, “Observers saw a ‘ball of light’ descending East to North. Had a long unbroken trail same width of object. Green color.” And, according to the information was only in sight for about one second. And on June 20, at Los Alamos, it was reported that “Object was round, turning green to orange before vanishing. Object went through 90 deg [sic] of arc and disappeared as though it was extinguished.” This sighting lasted for three seconds. Early in 1949, the green fireballs had alarmed those responsible for the security of the secret installations but by the middle of the year, they seemed to be of no consequence. They weren’t paying much attention to the reports even though La Paz had suggested the fireballs might be some kind of controlled craft or probe. To understand this, it is important to note that Crozier had been collecting the dust samples over a period of time so that when the copper appeared in the samples after the July 24 fireball, it could be suggested that the particles were from the fireball. When copper was found over a large area that added to the belief. La Paz was saying that if the copper came from a fireball, that made it unique as a meteorite. Copper is not found in meteorites. Therefore, the fireballs were not meteorites and deserved further investigation. Although those in Washington seemed to have answered the questions about the green fireballs to their own satisfaction, those in New Mexico weren’t happy. Sightings of the fireballs continued, though now, according to Rees, they seemed to be falling vertically and he noticed that there were more reports on the weekends, especially on Sunday. It was also around this time, summer 1949, that Joseph Kaplan met with Norris Bradbury, who had been at the February conference. Bradbury thought that a classified scientific study of these aerial phenomena should be made and suggested a conference to discuss it. Kaplan suggested to the AFOIN director, General Charles P. Cabell that they should attempt a scientific study of the green fireballs, but Cabell could not support it, meaning he didn’t have the budget to do it. Kaplan, during a visit with the AMC’s Cambridge Research Laboratories in Boston tried to learn what could be done to facilitate the research. Finally, on September 14, 1949, the Air Force Chief of Staff, General Hoyt S. Vandenberg ordered the then commander of AMC Lieutenant General Benjamin Chidlaw to evaluate the sightings in New Mexico and Texas. The meeting that Kaplan wanted was held on October 16, 1949 and included representatives of AFOSI, the Air Materiel Command, the AESS, the Fourth Army, the FBI and representatives from Los Alamos including Edward Teller. Unlike other conferences held about UFOs, in this case, everyone agreed there was a real phenomenon out there. They just couldn’t agree on what it was. It had been noted by the Houston Chronicle, when talking about Ruppelt’s book, “Others who have written on this subject have intimated they were conferring with officials in the inner sanctum. This book, which may well become the bible of the UFO devotees, makes it clear that Ruppelt is the inner sanctum.” But it is not clear if Ruppelt was in on everything that was happening, especially those other projects that were not directly part of Blue Book. Per request of Dr. A. C. Mirarchi, during recent visit to this base [Holloman], the following information is submitted. Sightings were made on 27 April and 24 May 1950 of aerial phenomena during morning daylight hours at this station. The sightings were made by LAND-AIR, Inc., personnel while engaged in tracking regular projects with Askania Photo theodolites. It has been reported that objects are sighted in some number, as many as eight have been visible at one time. The individuals making these sightings are professional observers there I would rate their reliability superior. In both cases photos were taken with Aaskanias. The Holloman AF Base Data Reduction Unit analyzed the 27 April pictures and made a report, a copy of which I am enclosing with the film for your information. 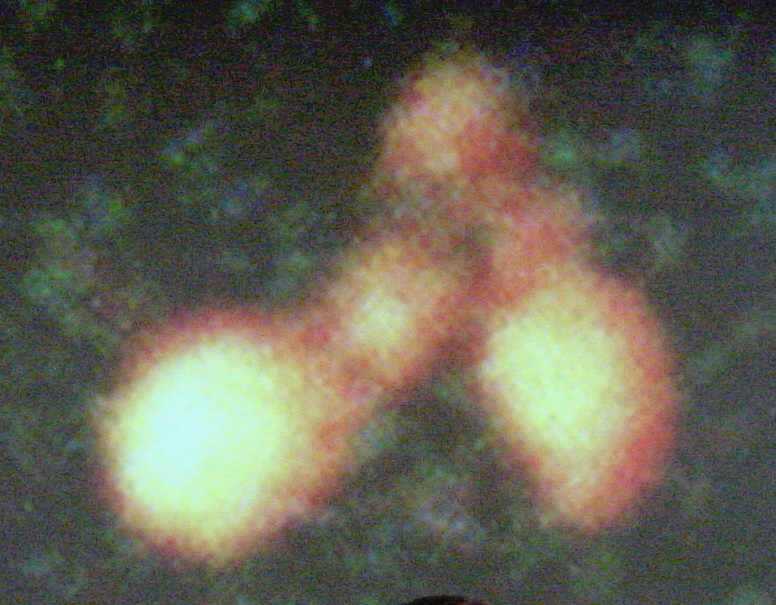 It was believed that triangulation could be effected from pictures taken on 24 May because pictures were taken from two stations. The films were rapidly processed and examined by Data Reduction. However, it was determined that sightings were made on two different objects and triangulation could not be effected. A report from Data reduction and the films from the sighting are enclosed. The enclosures with the letter included a number of films of the objects. Both files were labeled as “Insufficient Data.” That label was used when the officers at Blue Book didn’t want to call a case “Unidentified,” but were required to put some kind of label on it. What this means here is that either Ruppelt paid no attention to the final report on Project Twinkle, which mentions these two cases, or he knew about them and for some reason ignored them. No matter which explanation is correct, Ruppelt was wrong when he suggested that “Project Twinkle was a bust. Absolutely nothing was photographed. Of the three cameras that were planned for the project, only one was available.” The evidence in the Blue Book files, to which he had access, suggests otherwise. In fact, the final report on Project Twinkle was less a scientific document than it was a public relations tool. It was created to explain the green fireballs in the mundane and ignore the data recovered during the various studies, investigations and searches. Although they had the photographic theodolites, the “grating cameras” functioned only periodically, the military personnel who operated them had been reassigned because of the Korean War. He was offering excuses for the failure. The problem with this statement is that it is simply not true. While Guildenberg might not have ever seen anything he couldn’t explain, La Paz, who was called into the investigation, did see a green fireball. La Paz, a leading expert on meteors didn’t believe what he had seen was a meteor, and was unsure of the nature of it. Even worse, Clyde Tombaugh had seen something unexplainable on August 20, 1949. It is listed as case 536 in the Blue Book index, but it is not clear when the information was gathered. Although it predates Elterman’s report, the data might not have been added until later. And even if it was present, there is no indication that Elterman would have known about it. The strange thing is that he would mention Tombaugh in the report. No further fiscal expenditure be made pursuing the problem. This opinion is prompted partly by the fruitless expenditure during the past year, the uncertainty of existence of unexplainable aerial objects, and by the inactive position currently taken by Holloman AFB as indicated by the ‘stand-by status’ of the project. The arrangements by HAFB for continued vigilance by Land-Air, the weather station as well as the briefing of pilots on the problem in part relieves the need for a systematic instrumentation program. Within the next few months, Dr. Whipple will have completed the installation of two 18-inch Schmidt cameras for meteor studies. The cameras will be stationed about 20 miles apart in the vicinity of Las Cruces, New Mexico. Since these studies will be sponsored by the GRD, arrangements can be made for examining the film for evidence of aerial object phenomena. And with that, Project Twinkle faded away. It was caught in the crossfire between those who thought the green fireballs were meteors and those who though they were not. La Paz, the real expert in the field, rejected the idea of natural phenomena because of the limited geographic area in which the fireballs were seen, their sudden appearance in 1948, the lack of success in recovering any fragments from them, and their subsequent disappearance. Although a satisfactory solution for the fireballs was never found, those case that made their way into the Project Blue Book files were all labeled as “Astro (Meteor).” And while that might be true for some of them, many of them were not meteors, and the gathered evidence seems to prove it. In the end, when all the files on this are examined, it is clear that the question of the green fireballs was never resolved. They stopped falling, people stopped seeing them, and no one cared anymore. They became little more than a footnote in the history of UFO research. Clearly, they deserved more than that.